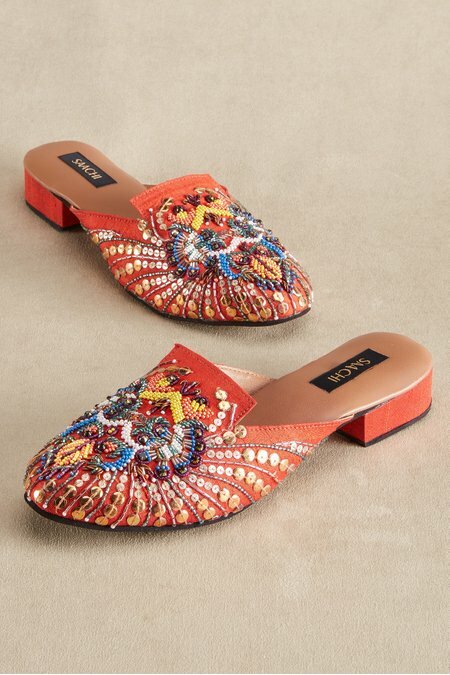 Crafted by artisans in India, these gorgeous slides are styled to impress with a luxe, polished look imparted through fine silk and artful embroidery. A soft leather lining cradles your foot while a durable manmade sole finishes the careful details. 1" heel.